The latest rage online seems to be light boxes for kids. 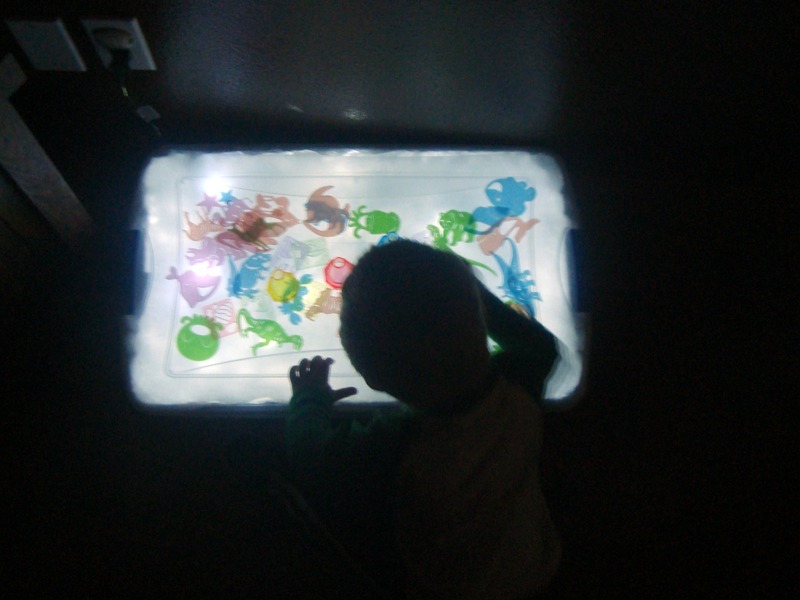 Several blogs I’ve stumbled across show kids having fun playing with ready-made light boxes. But those are pretty pricey and I’m way too cheap for that! 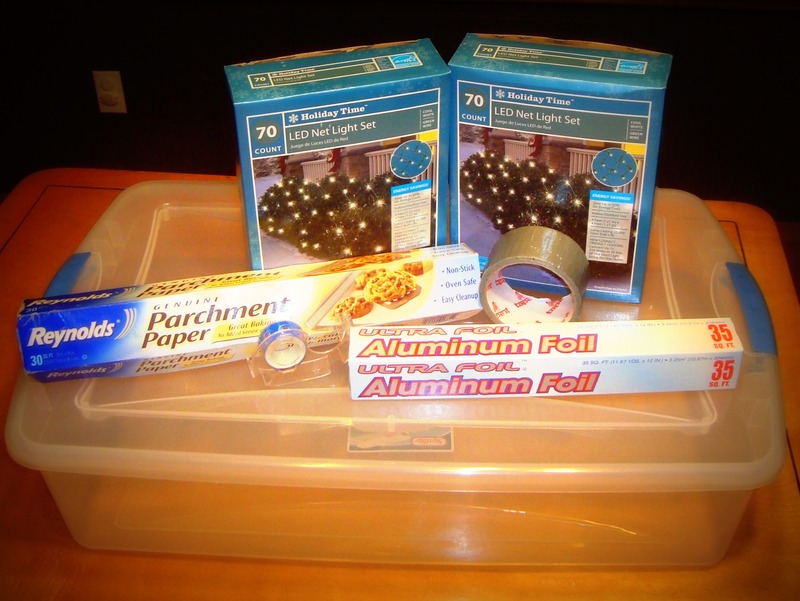 So I searched around online and found a few ideas on how to make your own light box. Using these items I made a light box for under 15 bucks. 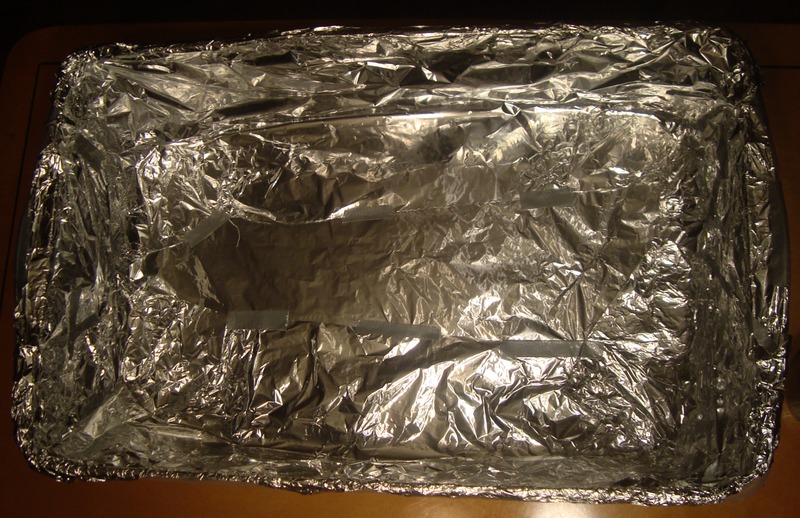 Line the inside of the storage tote with foil, securing with duct tape. This helps to reflect the light upward. 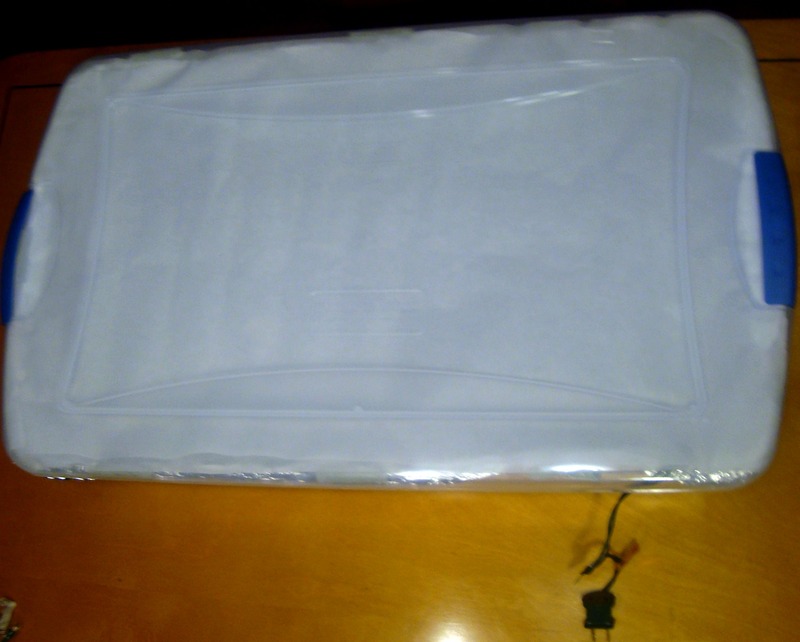 Line the lid of the tote with a double layer of parchment paper, securing the edges with duct tape. 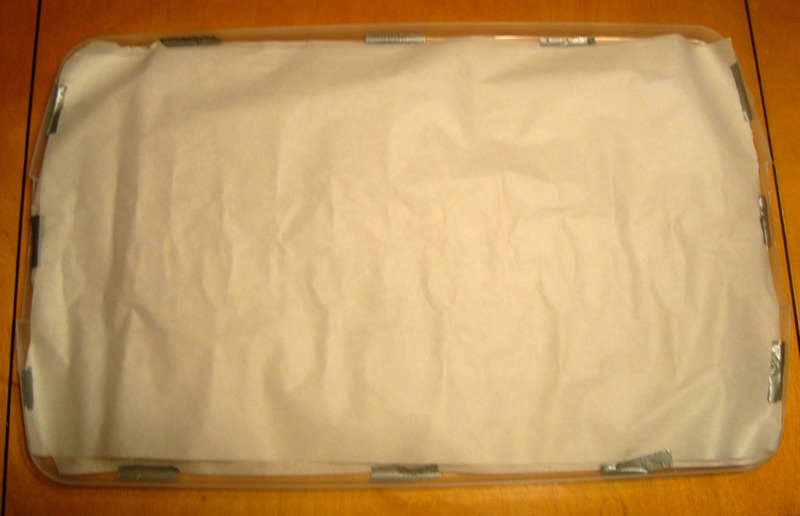 The parchment paper helps diffuse the light. 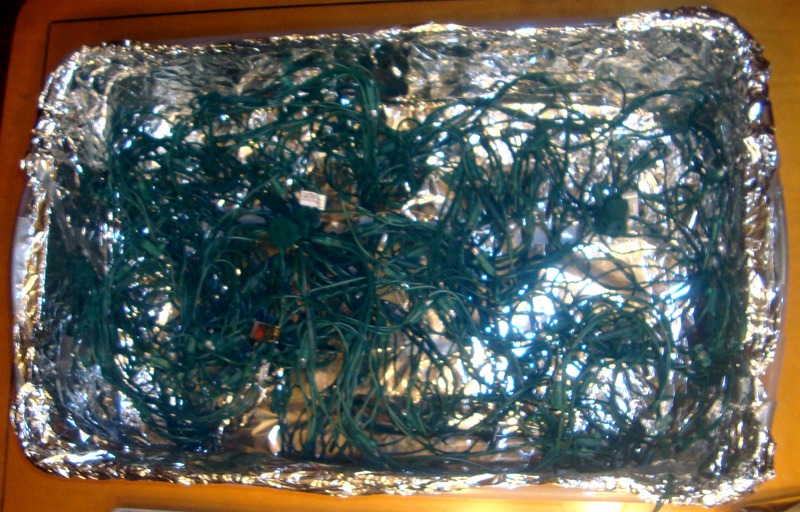 Spread the lights as evenly as possible inside the box, with the plug hanging over the edge. Trevor loves his light box! I found some great items at the Dollar Tree to use on top of the light box. 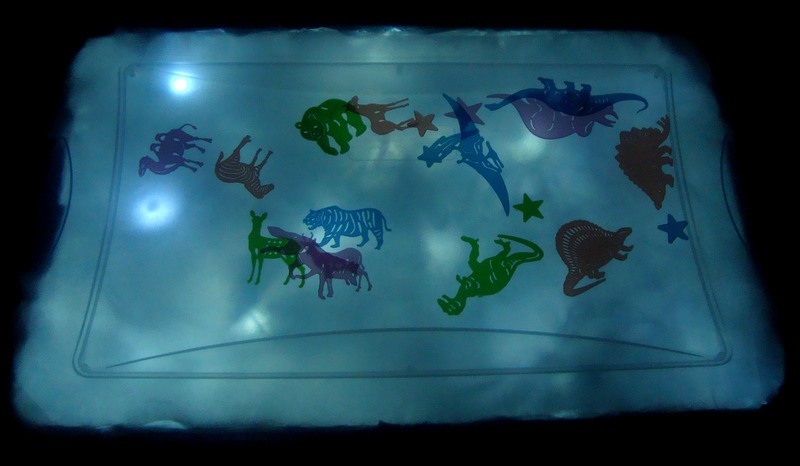 These are glow-in-the-dark animals. They are flat and transparent, so they work great. 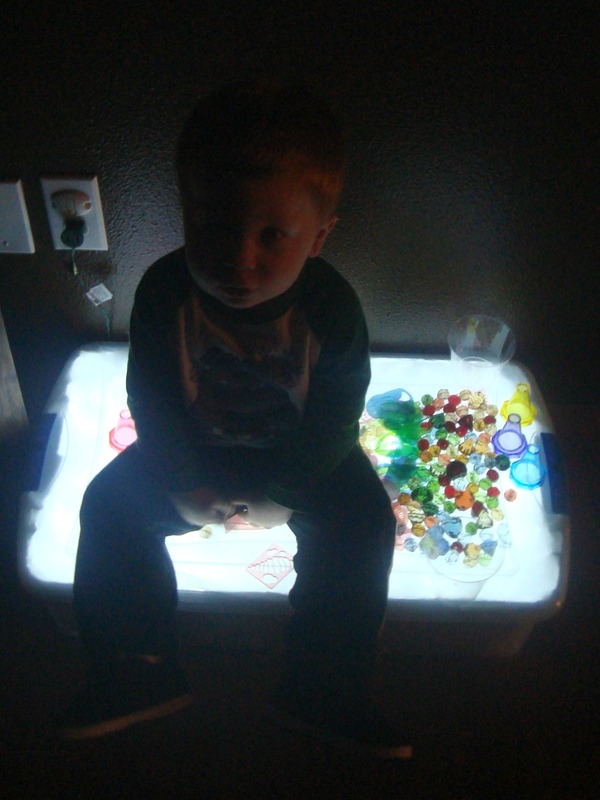 I also picked up some colored gems in the floral section at the Dollar Tree for him to explore on his light box. He decided sitting on it was fun too. The plus side of making your own light box out of a storage tote is that it’s pretty durable too. The light box is a huge hit in our house. Playing with light is a great way to stimulate the visual sense. I had been looking into adding some more visual tasks to Trevor’s sensory diet, and this worked out perfectly. The possibilities are endless. 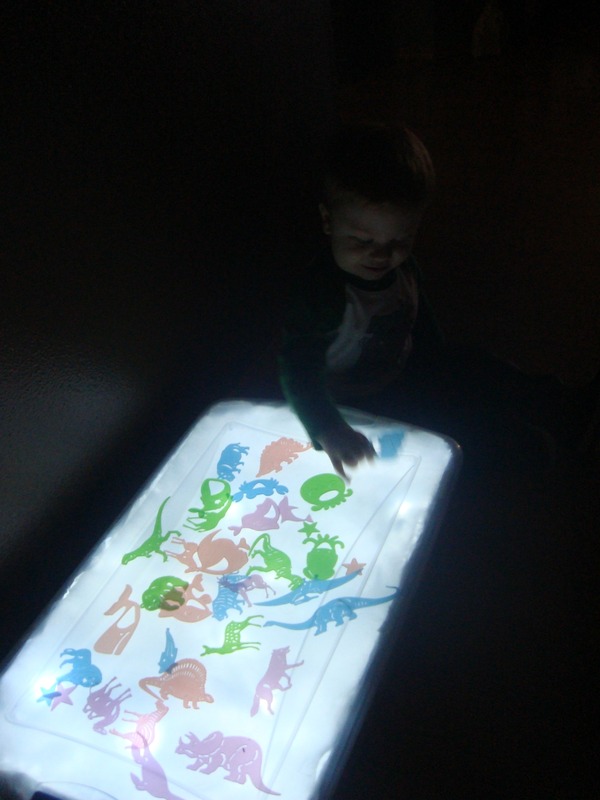 I can’t wait to find lots of new items for him to explore on his light box. 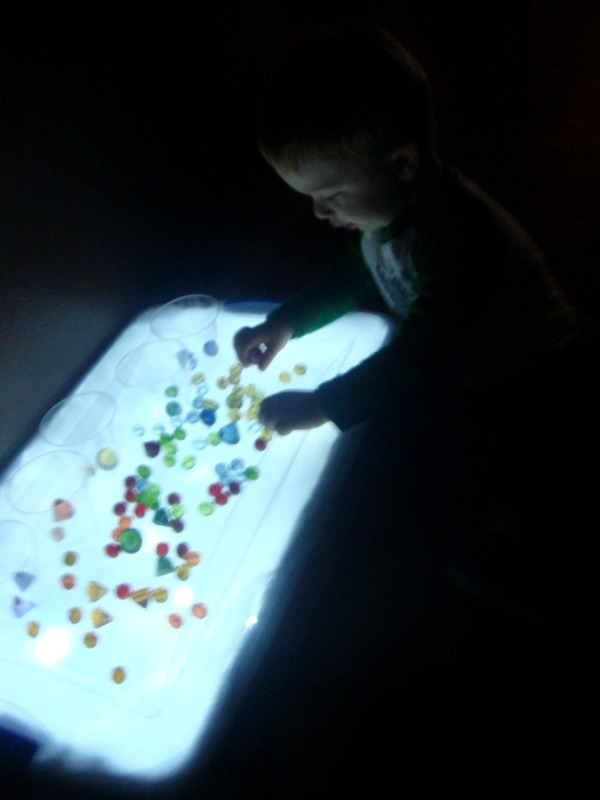 Stay tuned for more Light Box ideas, or check out Teach Preschool for their great ideas! Now following your blog!!! I have 2 young boys and LOVE your ideas! !